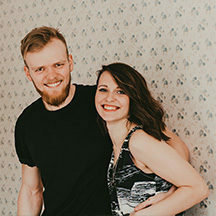 Both born and raised in Estonia, Innar and Siiri came to Christ in their teenage years and met during college. 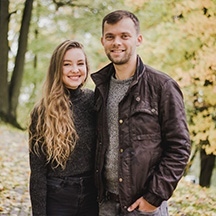 After getting married in 2007, they continued to be actively involved in their local church in Tartu. Innar joined Josiah Venture at the end of 2008. They are working with JV’s partner organization “Koma” in Estonia. Innar experienced his first English Camp in the Summer of 2008. He grew a heart for this ministry and has been leading English Camps in Estonia since 2009. Siiri’s first English Camp was as a young Christian when she was in 9th grade. She continued to help serve at English Camps until graduating high school. She was eager to be involved with camps again when Innar felt God’s leading in that direction. They desire to see God move among the youth through the camp ministry and also to reach out to their neighbors with the Gospel. In addition to being parents, they want to build disciples and train leaders in the local churches that they partner with. They have a beautiful daughter Evelinda and a fun little guy Joosep. You can write to Innar & Siiri Kruglov directly from this page.